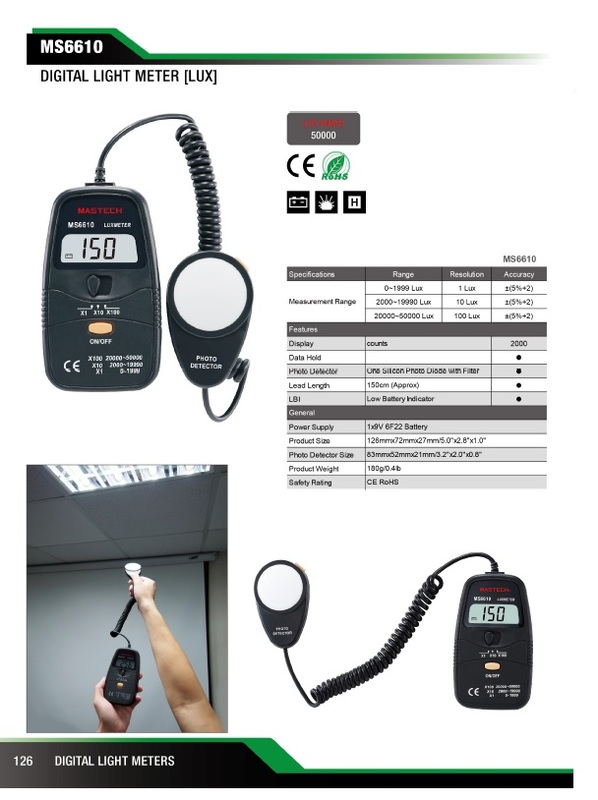 Compact digital lighting meter (luxmeter) MS6610 from Mastech designed to quickly and easily measure the intensity of light in workplaces and premises where a range of 0.0 lx to 50.000 lx is required. Data retention function. With a HOLD button which allows to stop the measurement and display data from the last measurement. For precise and accurate measurement of the light intensity of different light sources. dimensions - 125.5 x 72 x 27 mm. For incandescent lamps - x1.0.